Graffiti is a crime that's almost impossible to monitor, but one Australian train company has a found a way. It's trialing a new type of tech that's able to detect when graffiti is being sprayed and relay the data back to the police. 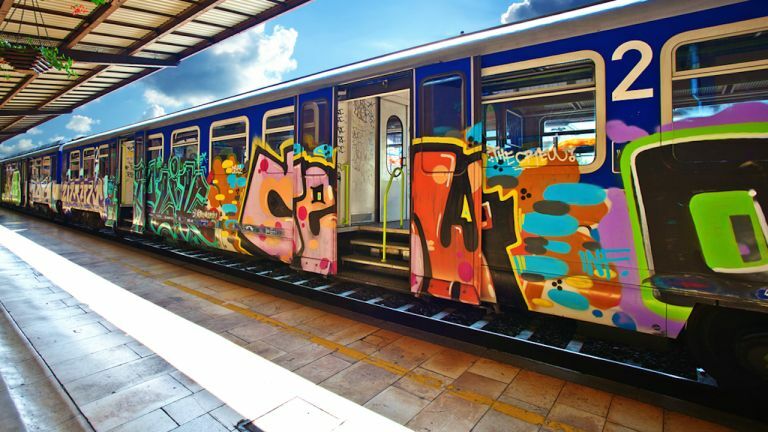 The trains in Sydney, Australia will be squeaky clean if this new graffiti-smelling technology catches on. The device, called Mousetrap, uses chemical sensors to detect the vapour of spray paint and permanent marker to catch vandals in the act. It then relays the data back in real time to mobile equipment held by rail staff or police, triggering the capture of CCTV images. The device had been developed especially for the city's rail network, and has already been in action for 18 months on dozens of trains. It has led to the arrest of more than 30 offenders to date. “Mousetrap is our latest weapon in the war against graffiti thugs damaging our trains. Vandals won't know where and they won't know when we're watching,” Minister for Transport and Infrastructure Andrew Constance said in a statement. And just in case any of the 'artists' plan on trying to remember which trains carried the Mousetrap device, don't. Sydney Trains explain the tech is small and mobile, making it easy to move around the network's 160 operating trains and leaving them one step ahead. While it's not such an issue in the UK, graffiti is becoming a real problem in Australia. In Sydney alone, it cost the state government A$34 million last year to remove graffiti from its trains. So any Banksy wannabes planning to make their mark down under might want to reconsider.